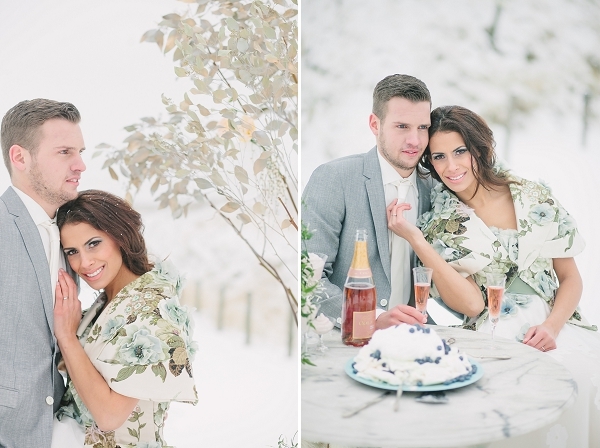 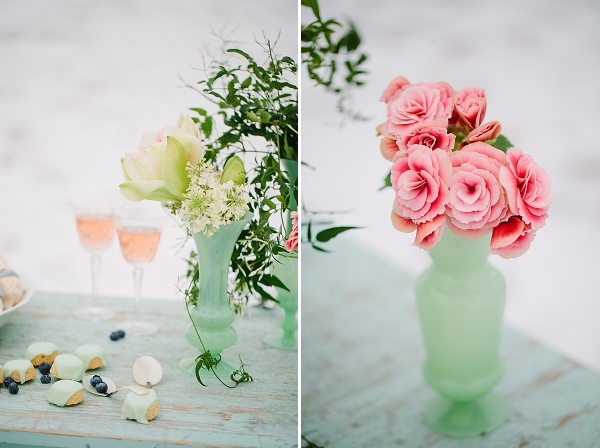 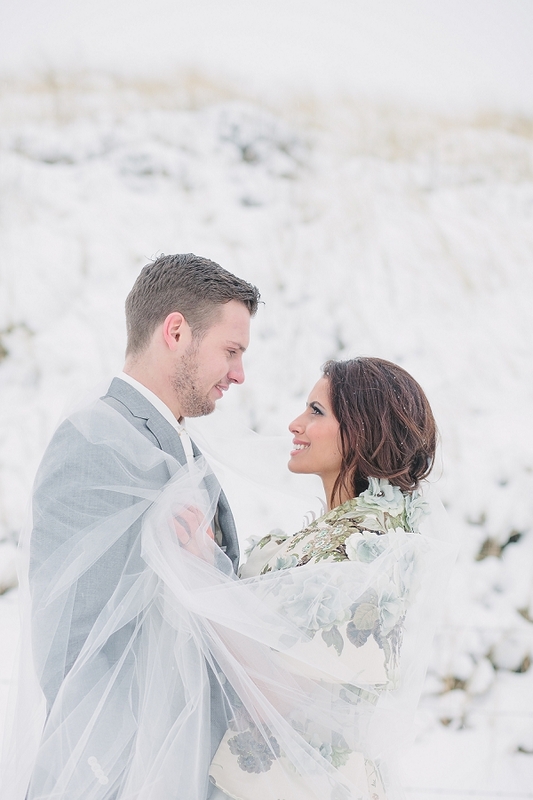 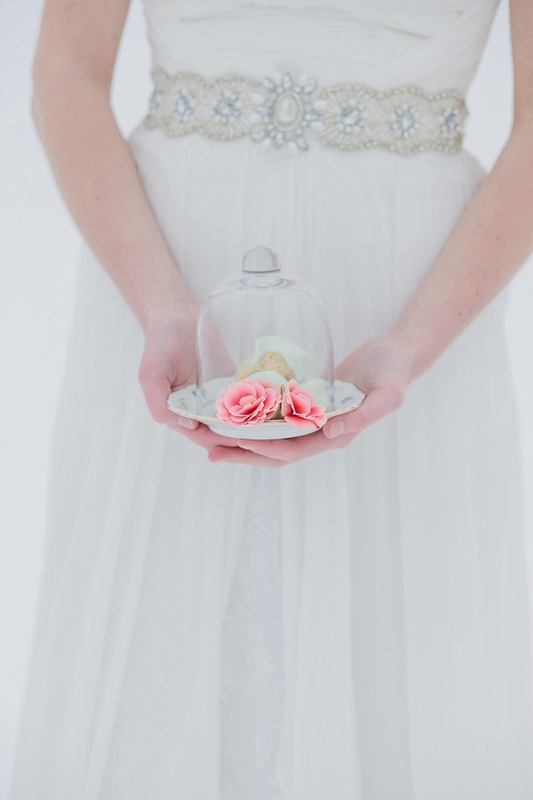 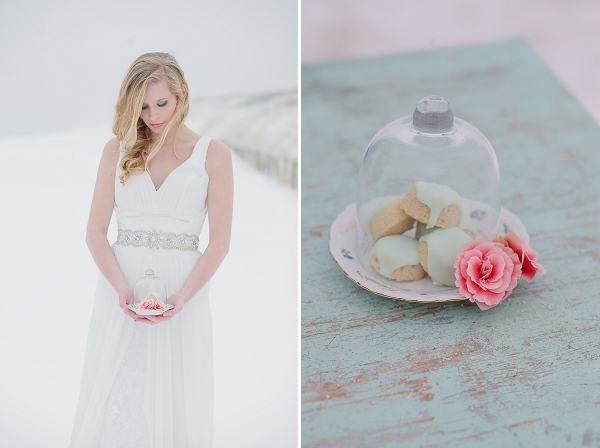 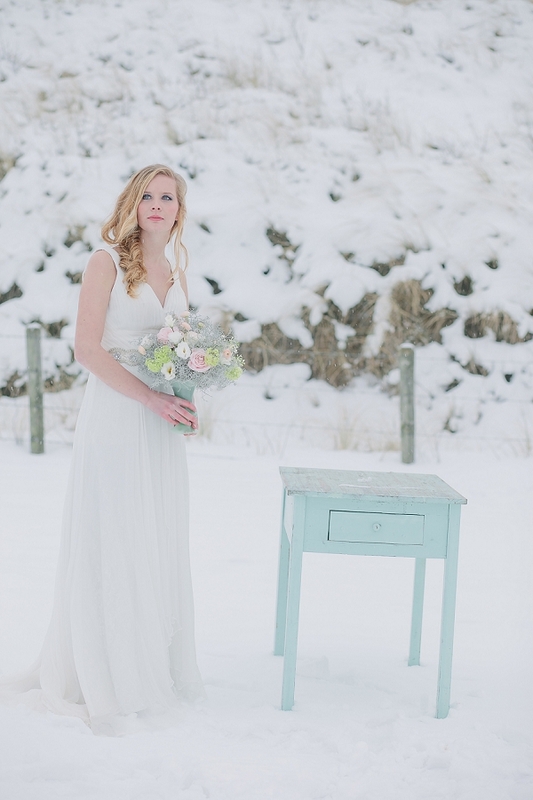 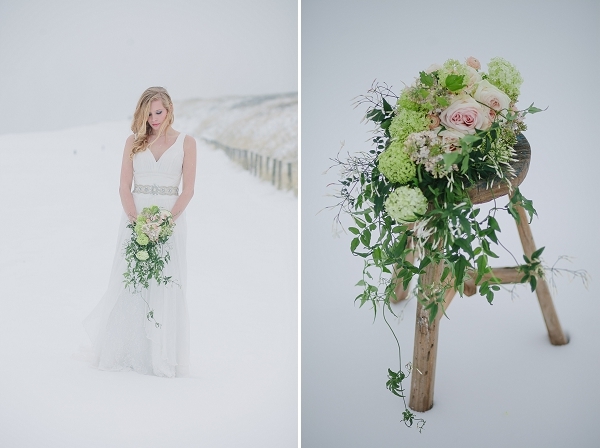 This afternoon I’m feeling incredibly lucky to share this breathtakingly beautiful shoot from Jennifer Hejna. 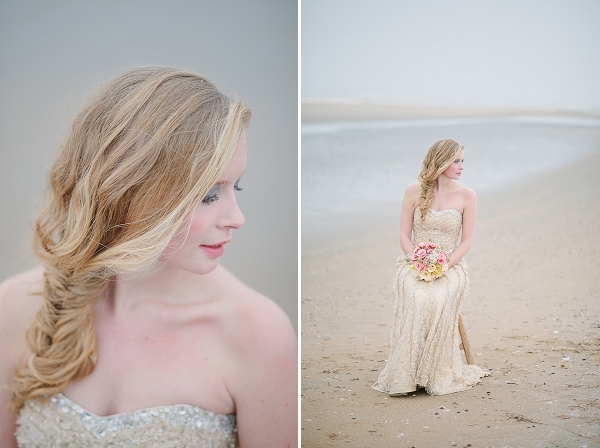 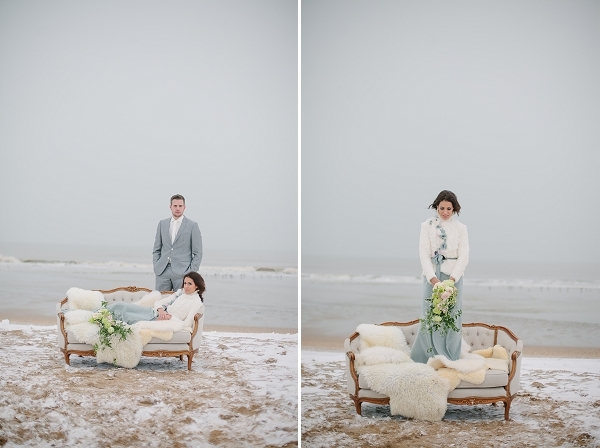 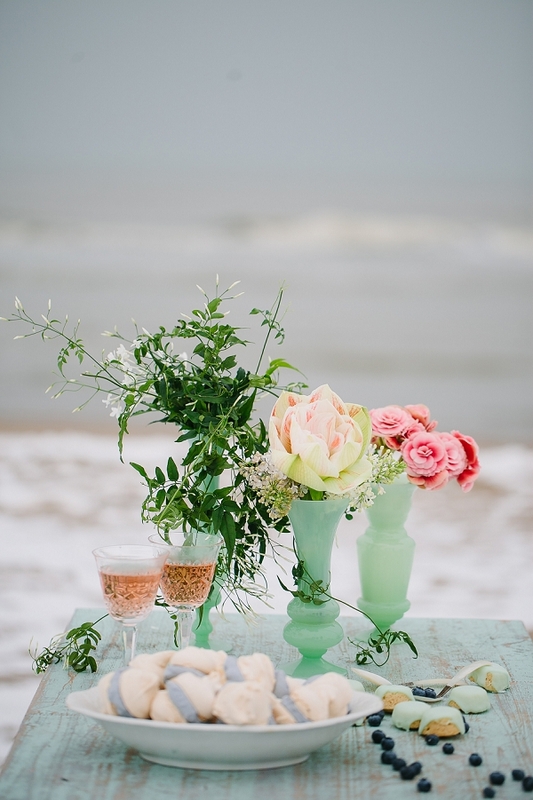 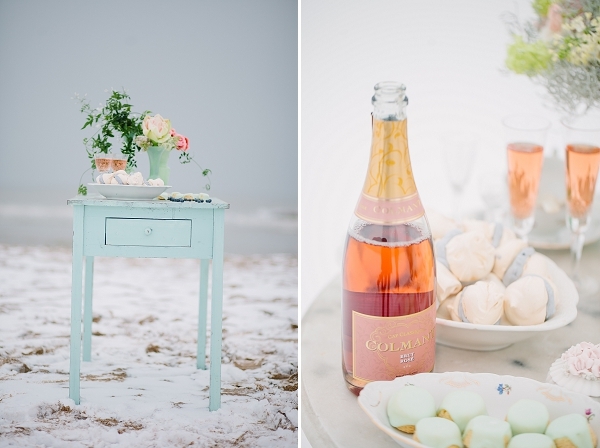 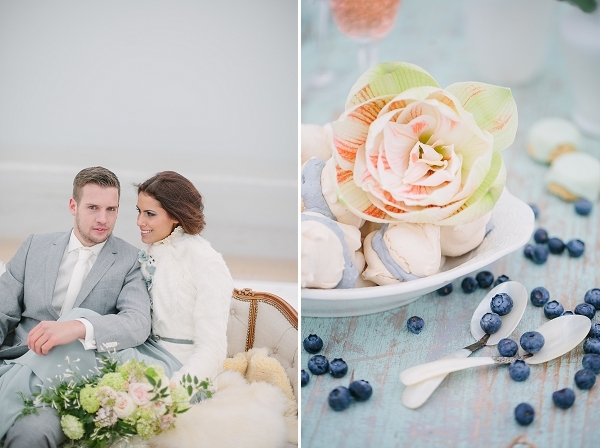 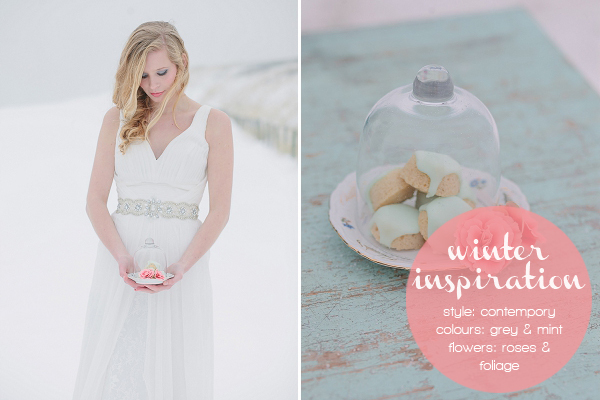 Set on a deserted beach on the Dutch coast on a snowy winter’s day, each image provides a surreal, dream-like glimpse into a stylish winter wedding. 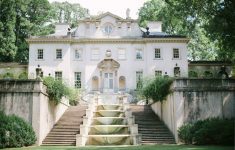 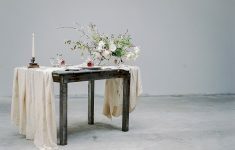 With a cool palette of grey, muted pastels and mint it’s a fresh take on the usual cosy neutrals or festive palettes usually seen as inspiration for this season that makes it oh-so-beautiful, and totally new and unique. 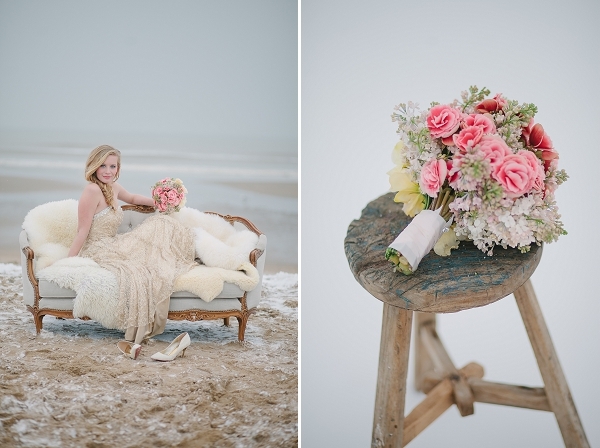 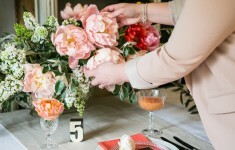 The flowers and bouquets are rustic with a delicate touch, pink and peach tones adding warmth to the palette, the texture of trailing foliage and driftwood break up the crisp white snow backdrop. 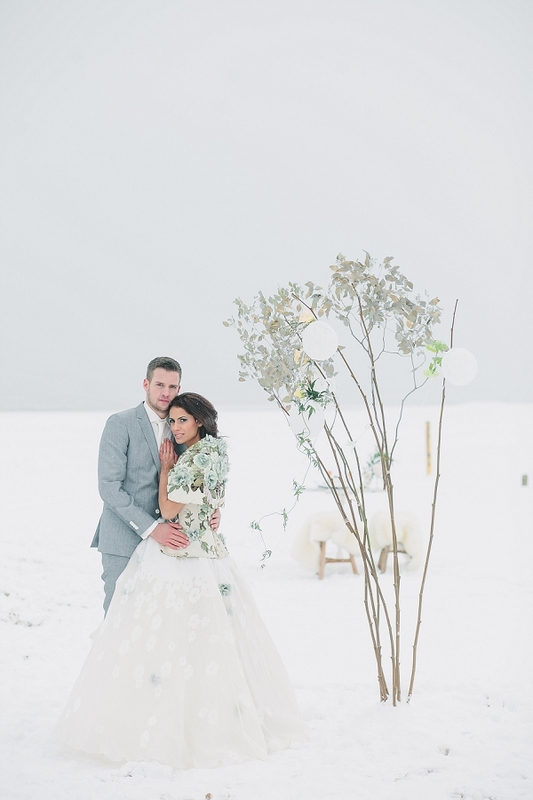 A tulle skirt with appliquéd flowers adds a whimsical touch to one bridal look as she keeps warm in a stunning floral cape, while in another the bride matches her groom in an on-trend elegant grey chiffon dress accessorised with a cosy fur jacket. 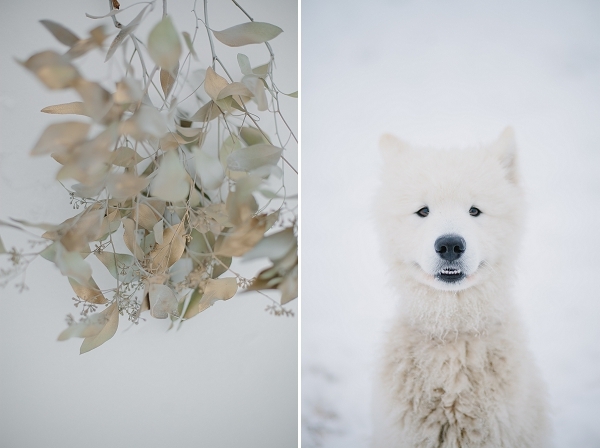 How cute is the snow dog?! 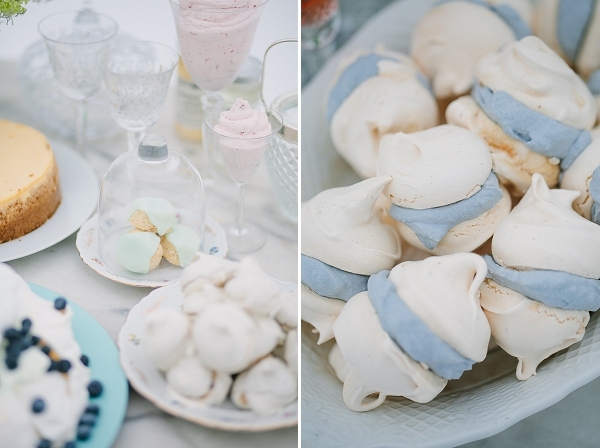 Isn’t this the sweetest selection of treats? 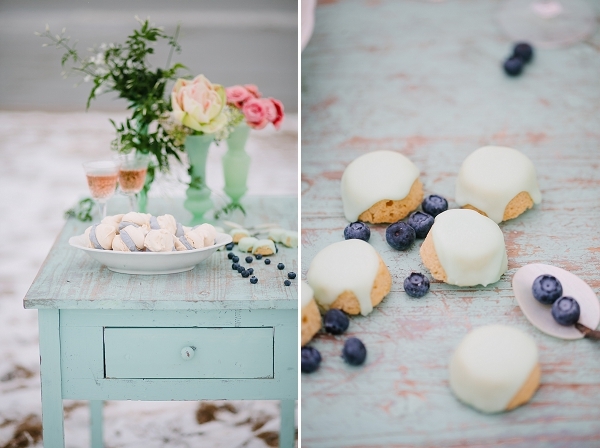 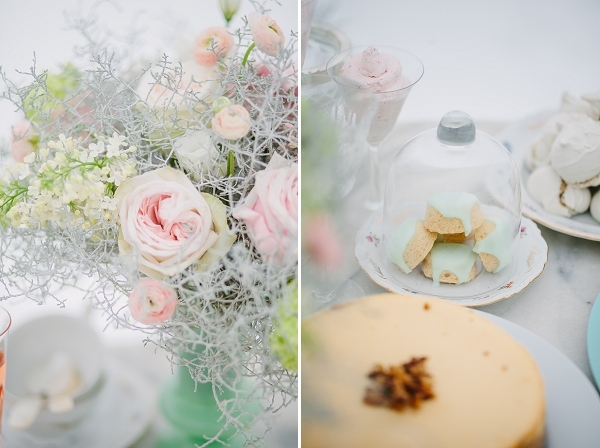 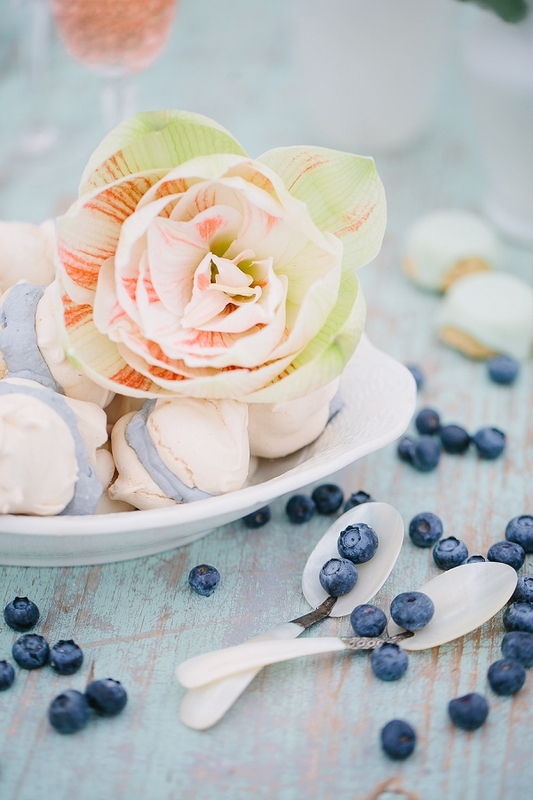 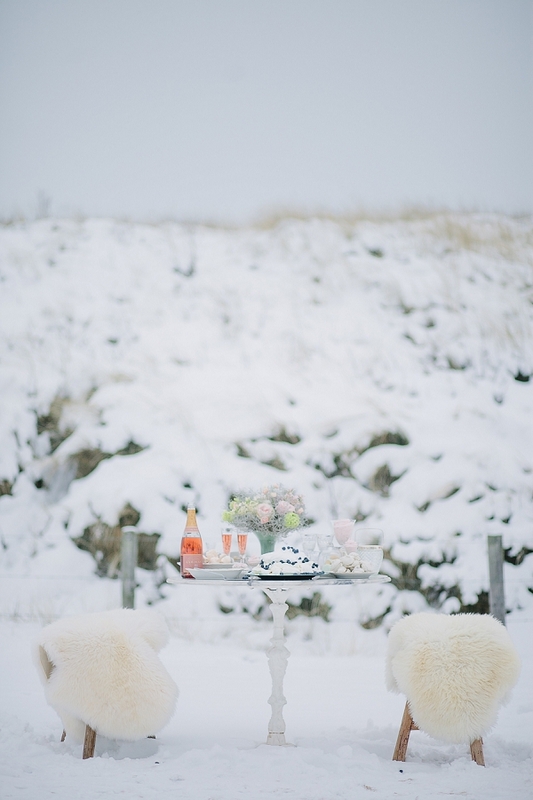 Fluffy meringues, iced cookies and delicious cakes displayed prettily on a sweetheart table, with fur blankets for extra warmth. 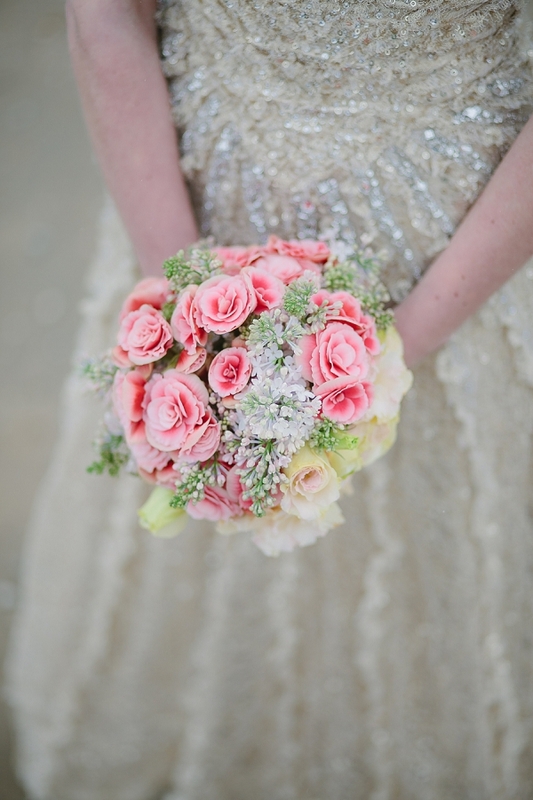 In a mermaid-like gold sequinned dress and fishtail braid, this bride could have just walked out of the sea, the texture and colours of her bouquet mimicking underwater corals and adding a pop of colour against her shimmering neutral look.